Friday, February 16th @ 7:00PM – Only $26.95 per seat! WITH OVER TEN YEARS EXPERIENCE AS THE BLUES Brothers Fairchild’s Blues Brother Tribute deliver an excellent performance and an enjoyable evening by using a good mix of talents & music that keep the audience pleasantly amused for a night of entertainment. The show is performed with a live band. 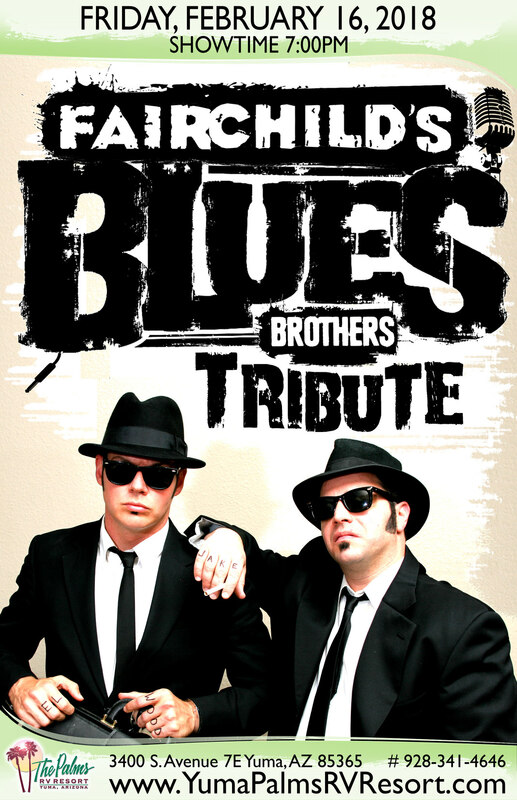 Fairchild’s Blues Brother Tribute is filled with non-stop blues that will thrill and amaze you.